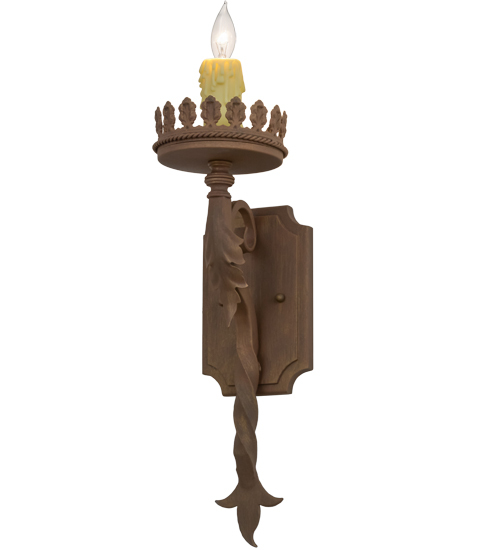 Description: An upscale Gothic style, this elaborate wall sconce features a twisting post topped with a crown that embraces an Ivory faux candlelight and complemented with decorative hardware and backplate featured in a Cortez Gold Finish. Handcrafted in the USA, this fixture is available in custom sizes, styles, colors and dimmable energy efficient lamping options. It is UL and cUL listed for damp and dry locations.